New York is experiencing an unusually hot and dry summer – so hot, so dry that an everyday pile of horse manure spontaneously caught fire under the sweltering sun. The Department of Environmental Conservation reported that the horse dung combusted in a stable in the town of Throop, 25 miles west of Syracuse. Residents complained about a foul smell and smoke wafting through their windows. When Don Damrath, DEC officer, investigated he was told by stable owners that manure combustion was not unusual in the horse stable. The wind generally blows the smoke in a different direction, away from townspeople, they explained. This time, however, the wind carried the smell and smoke in the opposite direction, perhaps preventing what could have been a major brushfire in the area. Fire from the manure pile spread “dangerously close” to an area with dry vegetation, and took firefighters more than two hours to extinguish. Mr Damrath told the stable owners to make an effort to prevent further combustion in the future. 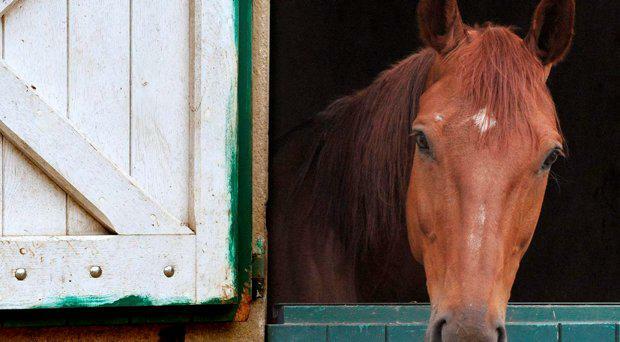 A 2009 paper published in Bioresource Technology found that horse manure is “well suited for combustion”, especially if combined with wood shavings one would find in a stable. The paper found that horse manure particularly makes for a reliable low-emission fuel. New York state experienced a rather serious heat wave this week as a so-called "heat dome" – a high pressure system that traps hot air in a region – shot temperatures up to more than 100ºF (38ºC). Gov Andrew Cuomo mandated that the Office of State Parks, Recreation, and Historic Preservation extend hours at all public swimming pools and other parks to help New Yorkers deal with the heat. Sarah N Lynch and Yasmeen Abutaleb TOP congressional Democrats left the door open yesterday to pursue the impeachment of US President Donald Trump, but said they would first need to complete their own investigations into whether he obstructed justice in Special Counsel Robert Mueller's Russia probe. Keiran Southern Italian-Irish actor Robert De Niro has taken another swing at Donald Trump, calling the US president a "total loser" and "wannabe gangster".